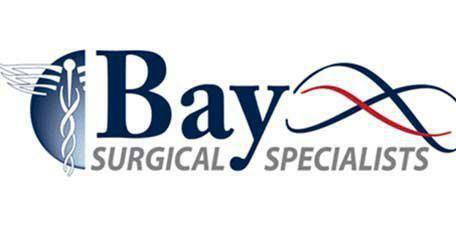 Dr. Collins treats patients from the Tampa Bay area who are going to have dialysis treatment by installing venous access to make treatments easier and faster from the Bay Surgical Specialists office located in St. Petersburg and Pasadena, FL. When a person needs to have dialysis treatments to cleanse his or blood, a surgeon may perform a procedure to create “access” for the dialysis tubing to be easily connected. The access is a surgically created vein which draws blood to send it to the dialysis machine and then another created tube to return it to the body. Dialysis can be done with needles, however, this process is slow as such a small amount of blood can pass through a needle at at time. A vascular access allows for large amounts of blood to flow continuously during dialysis treatments, reducing the time needed for treatment. Access is designed in two forms: arteriovenous (AV) fistula and the AV graft. Both forms need to be installed several weeks before starting dialysis treatments, as they need to mature and allow the veins and arteries affected time to develop and adjust to increased blood flow. An AV fistula is a connection made by a surgeon in the forearm or upper arm which develops and grows the vein to make it big and strong enough for larger amounts of blood to pass through. The AV fistula is often recommended because it provides quality blood flow, it lasts longer than other forms and is less likely to have complications like infection or clotting. What is an AV graft? An AV graft is a plastic tube that connects an artery to a vein. The dialysis connection is then made to this tube so that arterial blood passes through the tube, out of the body and through the dialyzer then returns to the body via the part of the tube leading to the vein. How are these devices installed? The installation of either access is performed in an outpatient center or hospital. The area of the arm will be anesthetized and the surgeon will perform the delicate surgery to prepare the artery for future dialysis treatments. How would a patient care for a vascular access? The patient will be taught how to care for the access. He or she will need to keep the area clean and monitor it for signs of infection or blood flow issues. The patient will be able to check the blood flow by feeling for the “thrill” or the vibration caused by the heartbeat. Care should be taken to not bump or cut the access and protect it from damage.